Get your first job right. Years of planning. Thousands of pounds spent. All finished in one day. 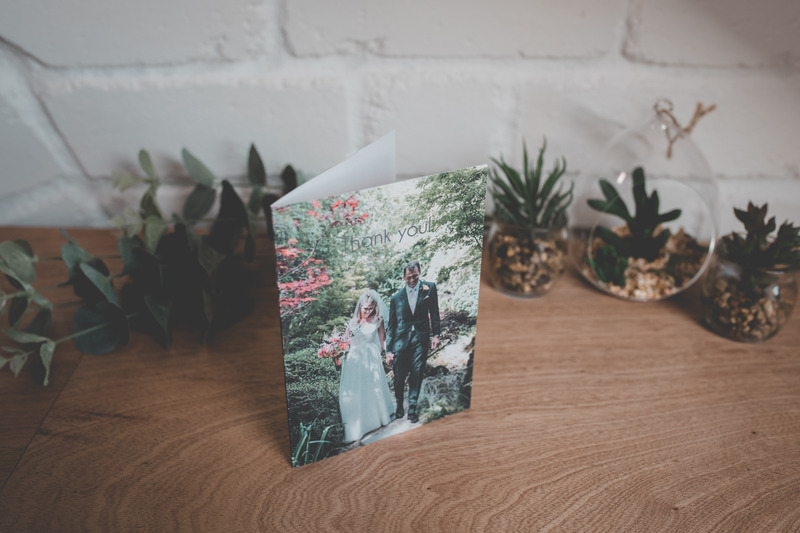 Now your final task for your wedding and your first task as newlyweds is to send thank you cards to all your guests and those that could not make the day. This is the last and final statement to make about your wedding and your new life together. Why should you select us to help you with this cherry on your cake? This is a bespoke service. 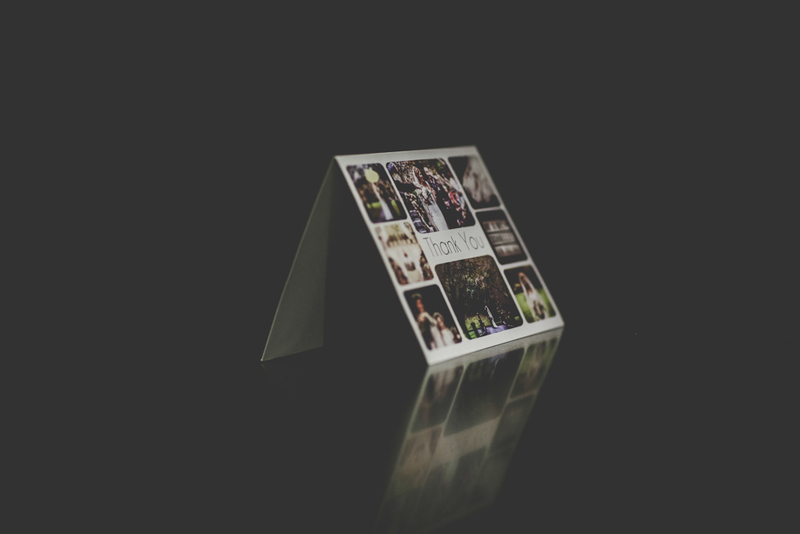 We work on delivering to couples the highest quality service and best cards possible. 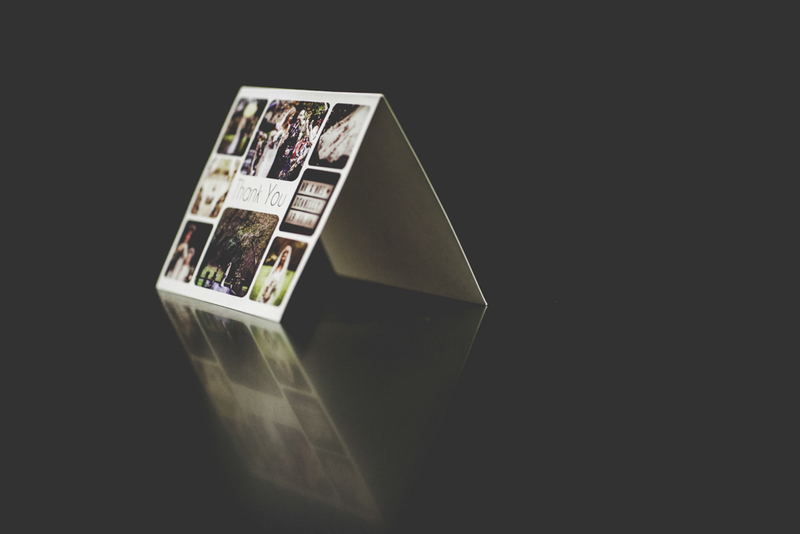 All deliveries (including envelopes) go straight to your door, so all you need to do is send them out to your guests. At Wedprint Pro we believe in sustainability – the future for your new family will only be bright if we think and act now. That is why our materials, techniques and transport methods are ethically considered. 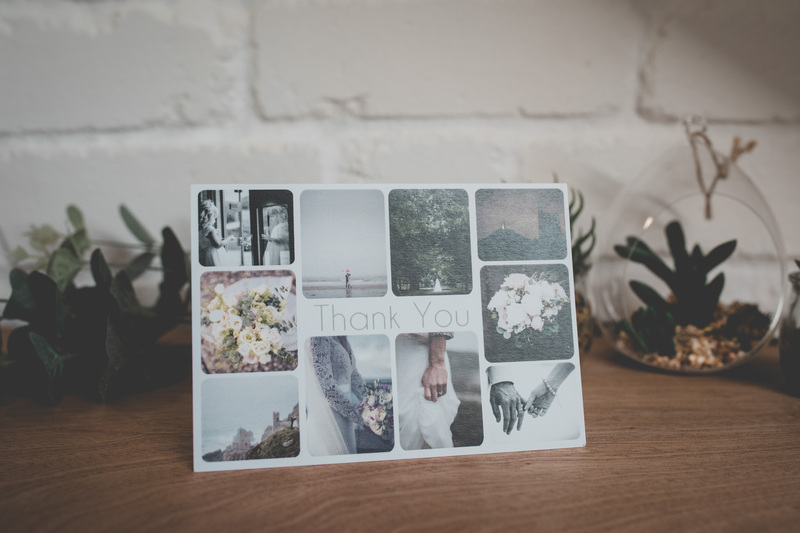 Wedding Cards – Thank you. “Thank you so much for our super cards! They are perfect!